View from the terrace of the ocean and surf break. View of the pool and beach from the terrace. Dine on the terrace. Great morning coffee spot. Looking towards the East Cape from the terrace. Las Olas from the highway. Our 2 bedroom 2 bathroom condo has a one of a kind location sitting directly on a white sand beach overlooking 3 surf spots. 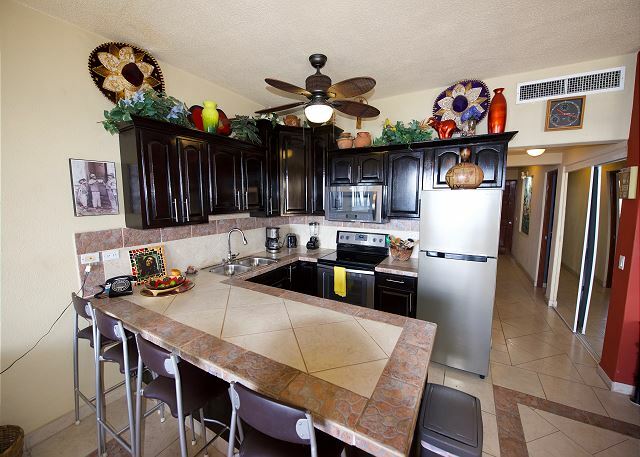 We have a fully equipped kitchen with all utensils, satellite television, free wireless high speed internet, and a remodeled Master Bathroom. Relax by the beach side pool and 3 Jacuzzis, play tennis on the roof top tennis court, or take a walk down the 7 mile beach right out your front door. Las Olas is 5 minutes from San Jose del Cabo, only 15 minutes from downtown Cabo San Lucas, and within walking distance to restaurants, bars, and grocery stores. Great interiors, amazing views, centralized location, a bit too close to highway and only negative was it was too noisy. Definitely bring ear plugs for sleeping. 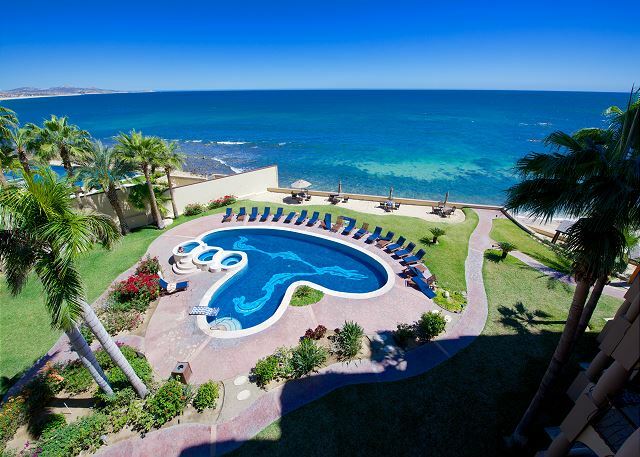 This is a well appointed, clean, relaxing condo unit in a complex that is right on the best surfing beach on the Sea of Cortez. The beds and the furniture are comfortable, the kitchen is well equipped and relatively new, the entire experience was excellent although the price is a tad high and we were not granted the 7th night free as advertised. Still good though.